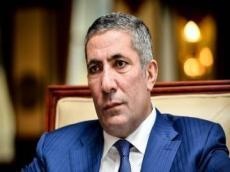 It is necessary to prepare a new bill on political parties in Azerbaijan, Siyavush Novruzov, chairman of the parliamentary committee for public associations and religious structures, proposed at a plenary session of the Azerbaijani Parliament, Trend reports. According to him, some opposition parties do not submit their financial reports to the country’s Central Election Commission or submit zero reports. Novruzov also wondered where they got their offices, employees and bodyguards from if they do not have any funding. "All this is done via help from shady sources. These need to be identified. Rallies, sabotage - all these things are done through covert funding. They are done based on orders and those who finance them are the ones who give these instructions. Such concepts as “nation” or “state” are simply nonexistent for them. I believe that it is imperative to confront all these things within legal frames," Novruzov added. He also said that certain individuals abroad, who are being used against Azerbaijan, are unable to change a thing. “They can only pour insults. If so, we must resist them. We have been involved in politics for many years and know their tactics and mechanisms quite well,” Novruzov remarked. According to him, as Azerbaijan continues to develop, the position of those acting against the country is deteriorating. Connect with us. Get latest news and updates.